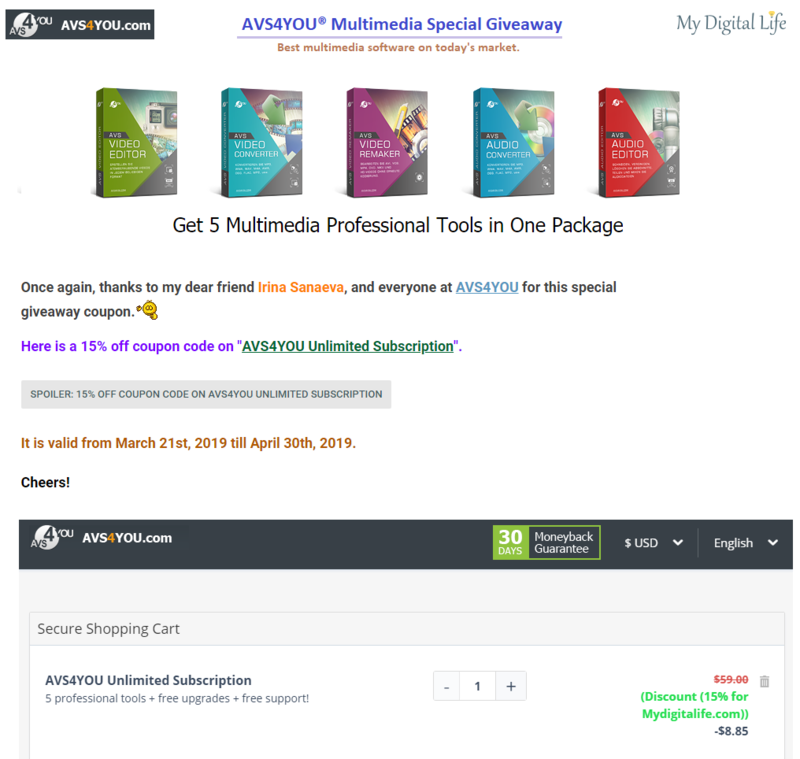 AVS4YOU Multimedia Special Giveaway | 5 Multimedia Professional Tools in One Package. Discussion in 'Giveaways and Contests' started by whizkidraj, Mar 19, 2019. AVS4YOU softwares need no introduction. I've used them almost all my life and I am so happy to announce this "Exclusive" AVS4YOU Multimedia Special Giveaway, as the title states. AVS4YOU.com offers you a completely new way of purchasing software online! To buy AVS4YOU® software visit the Buy now page and choose the type of software registration which suits you best. Even if you choose one tool, all other AVS4YOU® products will cost $0 for you. That means you can use ALL AVS4YOU® software with the same serial number without additional fees and limitations. I would like to thank my dear friend Irina Sanaeva, and everyone at AVS4YOU for sponsoring this generous giveaway for our awesome forum members. The giveaway is of, 3 x AVS4YOU 1-Year Subscription, and 1 x AVS4YOU Unlimited Subscription (Lifetime with free upgrades). 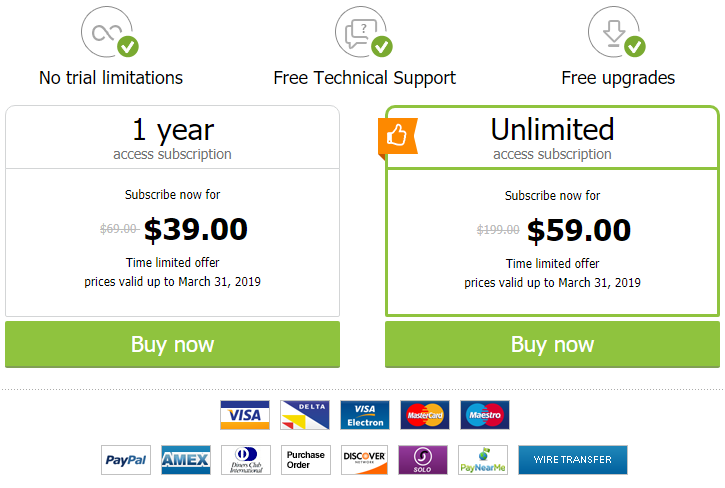 Each key of both i.e "1-Year and the Unlimited subscription" can activate all 5 AVS4YOU Products i.e you require only one key to activate all the 5 AVS4YOU products. 4. Like, Follow, Subscribe AVS4YOU on their social media sites. (optional, but appreciated). Giveaway ends on April 30th, 2019. Special Giveaway Coupon posted above. Let the giveaway begin! Thank You for awesome bundle of multimedia software. Relay helpful for my day to day life events. Thank you for this giveaway! Great bundle of useful softwares. I always see AVS listed on articles whenever I search for best video converters on google. I've been using free converters but they lack features and many come with adwares. So I would like to win one of the best converters which doesnt come with those issues! I haven't tried AVS4YOU,but i would like to check it out.I do need video software for my latest computer. Always love your giveaway specially this is useful for me. Thanks for the sponsor of it. I need this Multimedia Tools. Have been using some free softs for conversion etc, it will be nice to have a full one.